Thank you to everyone who came out to vote for our board members and share in community and conversation. 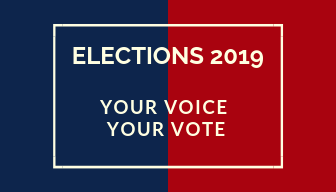 We're pleased to announce the election results of our annual meetings. We have six new community members and one returning board member to help drive our work. District 1 Reveals Our New Name! We had some fabulous recommendations for our name and many community votes. It was a tough competition, but one name clearly won out! The feedback we received was that Southeast Community Organization most closely describes our location and all the neighborhoods in our district. We are seeking a graphic designer. Please spread the word. We will also be looking for community input on the design in upcoming months. Thank you to everyone who participated! 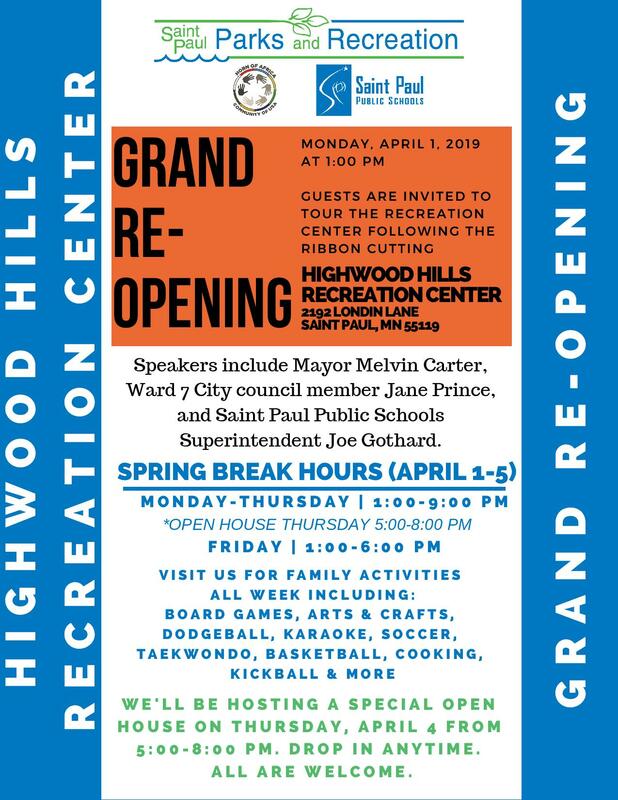 Join us for an informal open house at the newly opened Highwood Hills Recreation Center. programs at the recreation center. We look forward to seeing you. 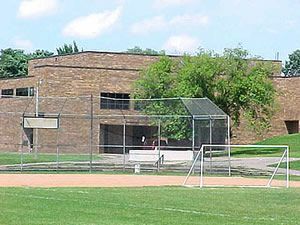 District 1 is partnering with Ramsey County to clean up our local park. Register on the Ramsey County website. We will communicate details on where to meet when the event gets closer. We're Looking for a Graphic Designer! We are looking for a graphic designer to help design our new logo. Please help spread the word. Find the listing on our website. Suicide rates have been increasing in Minnesota, and are the 10th leading cause of death. More men than women tend to commit suicide, and the highest rate by age in 2018 was adults age 45-54, followed by adults ages 25-34. 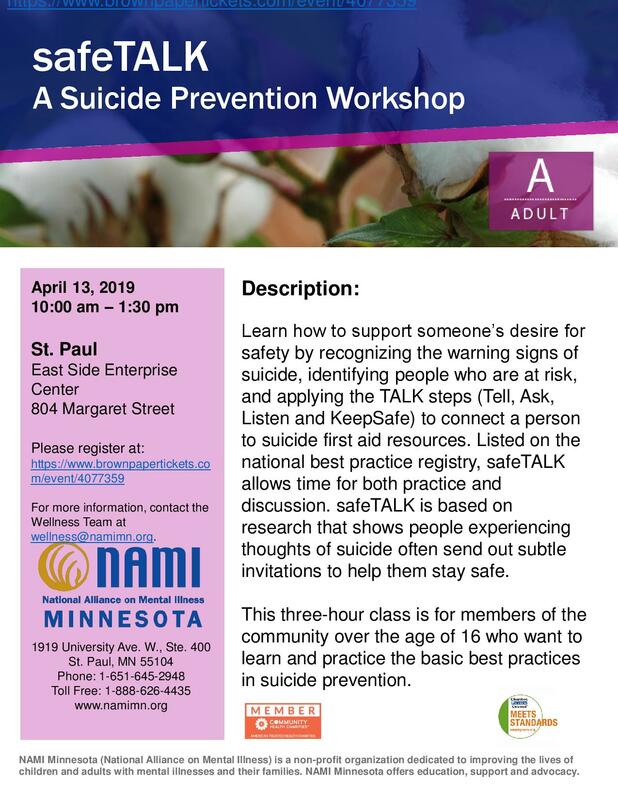 District's 1 and 4 have partnered with the National Alliance on Mental Illness, MN to offer a 3 hour workshop to educate citizens on how to detect signs of suicidal thoughts and what to do. Ne one will be turned away if the cost is prohibitive. Contact our office if you wish to attend and need the fee waived! Register at Brown Paper Tickets! Spots are limited. Please Complete Our Youth Survey! 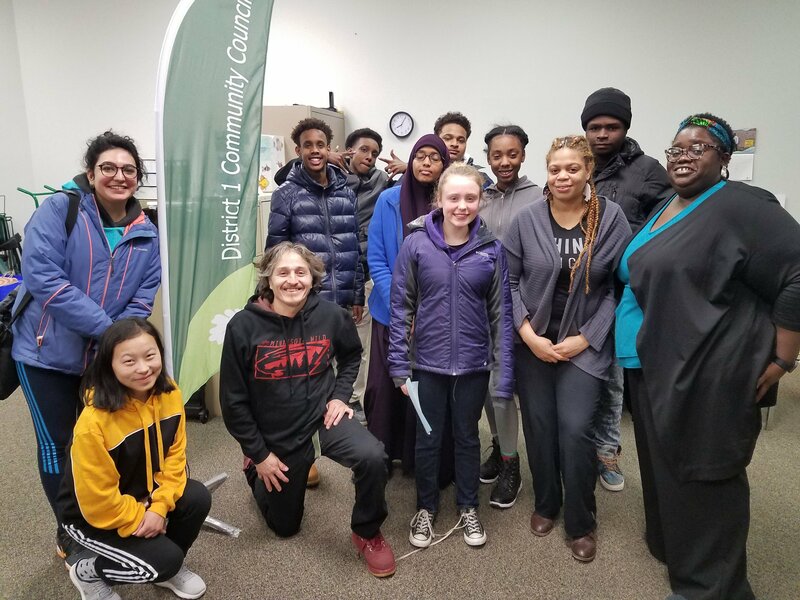 Our youth interns and work group have created a survey to gather community input on District 1 needs for out-of-school programs. Please complete the survey to help us gather as much information as possible! Children and youth can complete one as well. We will be presenting our findings at a community meeting on June 12! Current Conway/Garden of Feed 'Em gardeners are invited to join us for a community planning garden meeting. 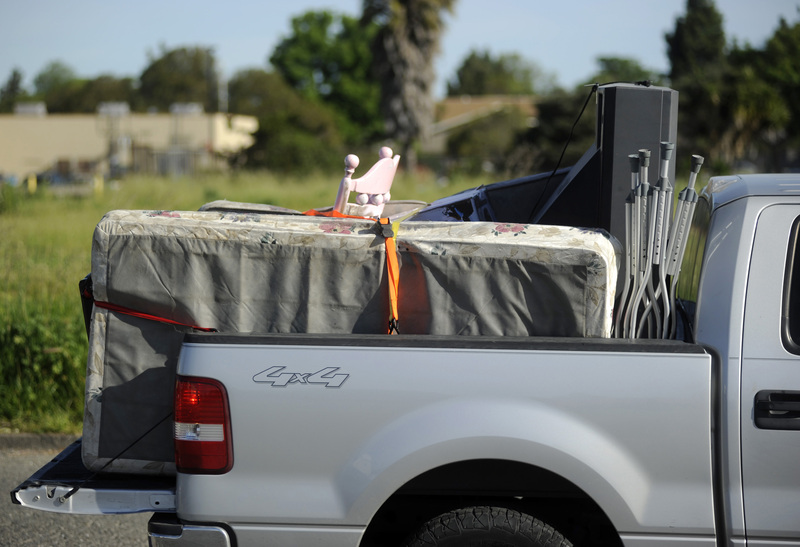 This year, the annual eastside Drop-Off Day will take place in September instead of June (as it has in the past). We agreed to switch dates to help accommodate another district that is no longer able to hold their Drop-Off event in September. We will be looking for 50 volunteers! Please keep an eye out for information this summer. information for the city and county. Discussions about the Red Rock Terminal railroad issue continue. Work group meetings will take place each month. The April meeting has been cancelled due to the businesses need to address flooding. Follow our website for information. The group discussed how to proceed with the renaming process. 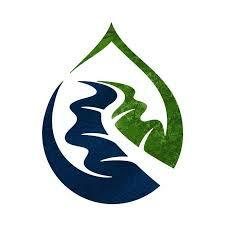 We reviewed the proposed RFQ for a graphic designer to create our new logo. We need neighbors to help with newsletter distribution, please contact our office. Delivery has been increased to more than 30 locations, and we can use assistance. Contact us if you can help. We will also be looking for neighbors who would be willing to host a newsletter distribution flyer box in their front yard! All committee meetings run from 6:00-8:00 pm. Board meetings will continue to take place from 6:30-8:30 pm. Submit ideas and articles by the 20th of each month to district1council@gmail.com. 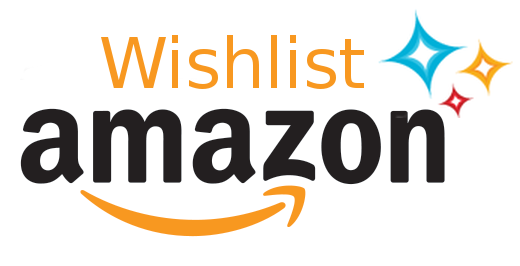 District 1 has an Amazon Wish List that includes items we need for the office. Have questions? Call us at 651-578-7600. Amazon Smile donates a small part of funds from some purchases to our organization. If you shop on Amazon, you can sign up for Amazon Smile - and look for District 1 Community Council. Thank you! We always accept donations to support our work. Please give today! Come out and vote for your board members and network with neighbors. New District 1 name revealed! needs with our youth interns! Information on applicants will be available on our website, and on paper copies at our office. Please plan on joining us to cast your votes! >> Childcare and bus tokens to and from the elections provided with advance request. Board of Directors: Deadline Extended to March 8! Weigh-in on important issues in our District and City. When you serve on the board, you help make sure that our residents are represented in decisions made by the City and County. You don't need experience, just a commitment to attend meetings, ask questions and support our work. The time commitment is about 4-8 hours a month. We encourage D1 renters to apply! New! District 1 recently voted to drop the age for residents to serve on our Board of Directors. Now, individuals age 16 and up can apply to serve on the board! We have seven board member positions. The deadline to submit applications is now Friday, March 8. District 1 is hiring a Somali Cultural Liaison in order to be available and accessible to all our residents. The Cultural Liaison will help build collaboration and trust between the District 1 Community Council and our Somali residents. The work includes relationship building, helping to plan and carry-out meetings and providing verbal and written translation. Click here for the link. District 1 and Ramsey County held a community meeting to discuss safety measures that will be put into place just south of Burns Avenue, the McKnight Villages. The County will be installing a Rectangular Rapid Flashing Beacon at the site, putting in street lights, and painting advance stop bars at the crossing. Additional details can be found on the County slideshow on our website. There have been record snowfalls in St. Paul. Snow is piled high everywhere. Seconds matter for our first responders. 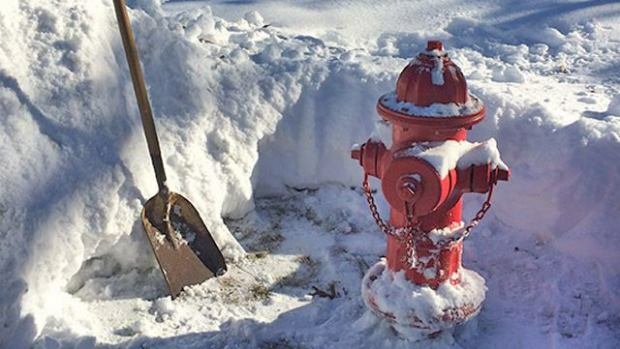 Help them help you by clearing a 3 foot wide path around all fire hydrants. Remember to shovel your sidewalk, as Saint Paul City Ordinance requires snow and ice to be removed from sidewalks within 24 hours. Corner property owners are asked to shovel curbs, walkways and crosswalks to the street. Additional information can be found on the City's website. 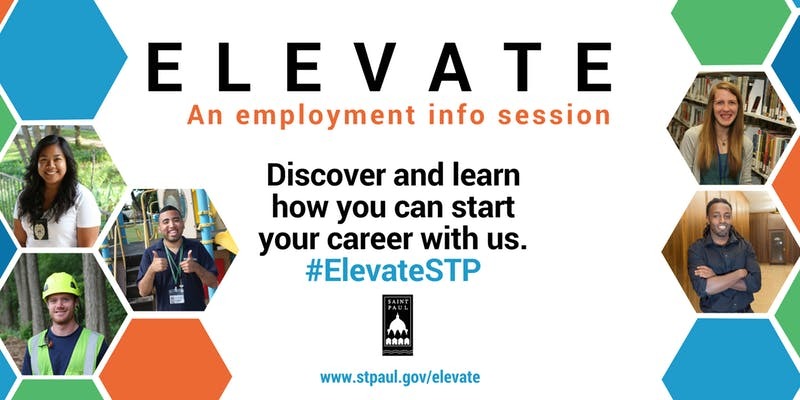 Do you have questions about the City of Saint Paul's hiring process? Receive tips on how to navigate through the application system, learn about the hiring process, and discover the many careers available with the City. Register here. Celebrate St. Patrick's Day in St. Paul. 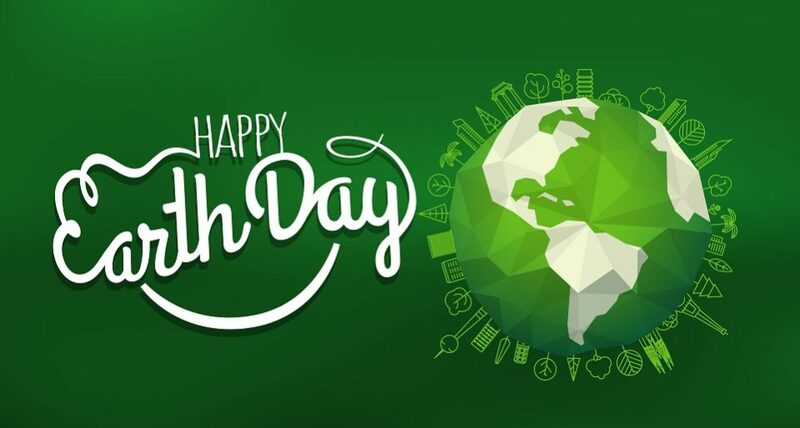 Find information about the parade, family-friendly events, Irish dancing lessons, tent parties, live music and more. See Visit St. Paul for all the details. Got an idea for our district? quick-action projects that can help our community become more livable. Applications are now being accepted for small grants to improve housing, transportation, public space, smart cities and other community elements. Applications are due by April 17, 2019 and projects must be completed by November 4, 2019. Applications can be submitted through AARP.org/CommunityChallenge. The Ramsey-Washington Metro Watershed District provides Stewardship Grants to install and maintain a variety of best management practices such as rain gardens, native landscaping, shore-land restoration and pervious pavement. These are designed to filter and reduce runoff, protect groundwater, restore native ecosystems, prevent flooding and lessen the effects of drought. 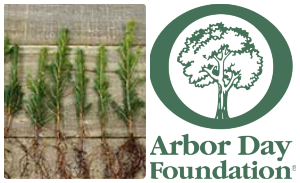 Join the Arbor Day Foundation for $10, and receive 10 trees. Choose trees that grow well where you live, and the foundation will send them to you to plant in your yard. You can also choose to send the trees to someone else. Discussions about the Red Rock Terminal railroad issue continue. Work group meetings will take place each month. Community members are welcomed to attend, but these are not meetings designed for questions and discussion. Follow our website for information. We reviewed the proposal for requiring restaurants in St. Paul to use recyclable materials. 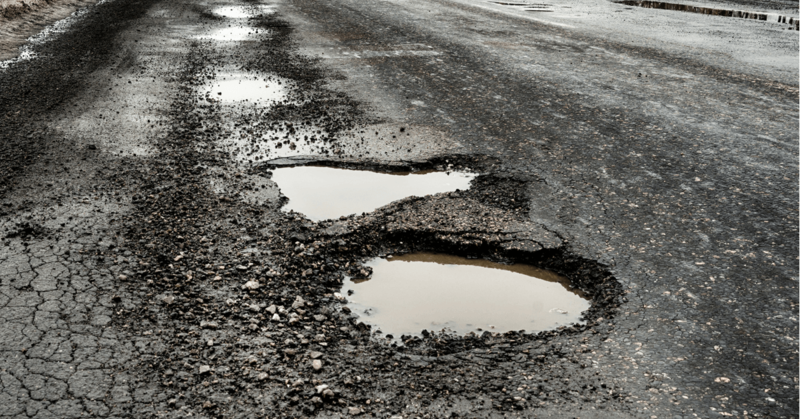 District 1 signed a resolution to support this initiative. For more info see Zero Waste. Communications was cancelled in order to hold a public meeting regarding safety measures for McKnight Road. We need neighbors to help with newsletter distribution, please contact our office. We've increased delivery to more than 30 locations, and can use assistance. >> Note: All committee meetings will now run from 6:00-8:00 pm. Board meetings will continue to take place from 6:30-8:30 pm. Advance voting available in the District 1 office. Submit ideas and articles by the 16th of each month to district1council@gmail.com.